Emerging countries deserve the World Cup, but FIFA needs to get its act together to make sure that the global showcase doesn't do more harm than good. This month Britain dispatched a delegation of smooth-talking spokesmen -- including Prime Minister David Cameron and Prince William -- to Zurich, where the FIFA executive committee was in the process of deciding which country would host the 2018 and 2022 World Cups. Making one final pitch to the international soccer organization, the Brits argued that they didn't just deserve to host the tournament -- they were genetically destined to get it. "We are a country where football runs through our DNA," soccer star David Beckham said. The United States, though far from a soccer superpower, also sent an all-star cast including Bill Clinton (who was president when the country hosted the 1994 World Cup) and actor Morgan Freeman to make its own case. In any case, FIFA was unmoved, and Britain and the United States walked away from Zurich empty-handed. Instead, the soccer body gave hosting privileges to Russia in 2018 and Qatar in 2022. The Anglophone transatlantic allies were undoubtedly top contenders for the 2018 and 2022 bids, respectively, on the quantifiable technical merits: They have the stadiums, hotels, and airports to accommodate millions of visiting soccer fans from around the world. But they lost out to more imaginative proposals from Russia and Qatar that played on FIFA's amorphous criteria of "legacy" effects: the long-term benefits of elevating soccer's profile in unheralded parts of the world. Britain, humiliatingly, fell out of the race much earlier than anyone expected, in the first round of voting with a paltry two votes out of 22 -- last place behind joint bids from Spain-Portugal and Netherlands-Belgium. The United States outlasted Australia, Japan, and South Korea in the first three rounds, but ultimately lost to tiny Qatar by an unambiguous 14-8 margin. One sentiment comes to mind when considering the American and British response to the decision: sore losers. "Has the FIFA cartel seriously lost all of its soul?" implored Steve Kelley of the Seattle Times. "Oil-rich" but "soccer-poor," he and others called the winners. Fleet Street, meanwhile, reacted as though Britain had a divine right to host the World Cup and wasted little time in bringing out orientalist clichés about how Arab oil and Russia's "mafia" had shamefully bribed their way to victory. "Fixed!" declared the Sun, and a "stitch-up" is what the Daily Mail called the process. The bitter media frenzy speaks volumes not just about the nationalist fervor that is permanently attached to soccer, but also about the hypocritical state of global governance today. The same Western states that now rightly demand greater transparency and accountability in FIFA's voting system -- a valid, but hardly new concern -- have for decades maintained the opaque and manifestly unfair voting patterns in governing bodies whose decisions have considerably greater impact, such as the U.N. Security Council, in which the United States and Britain enjoy veto powers. U.S. and British delegations professed to be shocked by some of the alleged backroom deals and vote swapping between countries such as Spain and Qatar during FIFA's deliberations; yet, as WikiLeaks has recently shown, global deals routinely involve the same sort of diplomatic pressure by European and U.S. officials, for example in such fora as the global climate-change meetings in Copenhagen and Cancún. Nevertheless, U.S. President Barack Obama declared that awarding the World Cup to Qatar -- an ostensible U.S. ally that hosts the largest U.S. military base in the Middle East -- was "the wrong decision." Losing the World Cup was the second slight in Obama's brief career as coach in chief -- last year, he flew all the way to Copenhagen to lobby for the 2016 Summer Olympics on behalf of his hometown Chicago, only to be embarrassingly dismissed in the first round. But Obama shouldn't have bothered for the Olympics, nor Cameron for the World Cup. In fact, the next time FIFA gathers to make its hosting decision, the United States and Britain -- and for that matter Germany, Australia, and Japan, too -- should voluntarily bench themselves, abstaining from submitting a bid for the competition. And they should stay off the pitch for at least a couple of decades. It is more than probable that every four years, one or more emerging markets in regions such as Latin America, the Middle East, Eastern Europe, Central Asia, South Asia, Africa, or the Far East will demonstrate the capacity, infrastructure, and sporting will to host a World Cup or Olympics. They should always be given the chance over Western bidders. If the World Cup is a celebration of the world's paramount athletic obsession, it is only fitting that it be spread more evenly around the globe. After all, hosting is not just about technical capacity today -- bidding countries have almost a decade or more to prepare, plenty of time to throw together a few stadiums and build a light-rail line or two. It's about legacy effects, reaching out beyond traditional audiences to spread the Olympic spirit or soccer fever, and making the international sporting community as truly global as it should be. Furthermore, countries that host a global sporting event such as the World Cup know the spotlight is on them and are effectively conditioned to be welcoming to global visitors and to seek to elevate themselves to global standards. Russia and Qatar will be the first countries in Eastern Europe and the Middle East, respectively, to host the World Cup, just as South Africa was the first African country to do so in 2010. Others in their regions will now be inspired to bid in the future, but know they must behave accordingly if they want to get the nod. Bodies such as FIFA and the International Olympic Committee, as well as local governments and investors, should turn their attentions to reforming the organizations' opaque bidding processes, amending them to include specific criteria that encourage bids from emerging economies. The focus should be on minimizing the greed of FIFA's global sponsors and ensuring an equitable distribution of the resources within host countries. International sporting events are a huge business, but not a particularly equitable one: During the 2010 World Cup in South Africa, for instance, large numbers of poor people were evicted and harassed in cities such as Cape Town in order to "cleanse" areas around newly constructed or renovated stadiums so that tourists could get to sanitized and "secure" venues. FIFA itself made things worse, contractually insisting on paying no taxes, ignoring South Africa's exchange control regulations, and creating exclusive commercial zones around venues for the benefit of global sponsors such as Coca-Cola and Visa, thus preventing local vendors from profiting. Multinational companies and their political sponsors among the local elite weren't the only ones who grew fatter off the spoils -- FIFA also made a substantial revenue in 2010, its best year ever in fact. Ordinary South Africans, meanwhile, lost out as public funding was diverted to large infrastructural development that had no long-term use. There are already concerns that Brazil 2014 will see similar problems. If FIFA wants to avoid tarnishing its reputation even further, it must cut back on the backroom oligopolies and recall its own marketing of soccer as the "people's game" -- not the corporations' game. There are a number of creative ways that this can be encouraged. For example, FIFA should grant host countries, and societies, meaningful participation in how the huge World Cup budgets will be spent, in order to spread the proceeds evenly across communities, and in particular to those who are vulnerable and impoverished. For instance, South Africa's initial World Cup bid envisioned refurbishing a local rugby stadium in Durban to host the games, saving money and boosting employment in a historically low-income "colored" township -- but FIFA insisted that a stadium be built at exorbitant cost with Table Mountain as its backdrop, in order to provide a nicer picture for global TV audiences and thus boost advertising revenues. FIFA should also insist on its host countries' respecting basic human rights in their hosting duties. In the case of Qatar, migrant workers from South and East Asia who will do the backbreaking work of building stadiums in the Persian Gulf's relentless desert heat should be properly compensated and afforded basic employment and housing rights. Developed countries that have thus far expended their FIFA-lobbying energies on securing hosting privileges should instead use them to this end: pushing the organization to make the games not just an instrument of national prestige, but also social good. Instead, some within Anglo-American circles are wallowing in their sour grapes, floating the idea of creating a separate global soccer league comprising only countries that have either hosted or won the World Cup, such as Spain, Italy, and Argentina. "The only way to deal with FIFA is to withdraw from it," fumed Ken Bates, the former chairman of British club Chelsea and current boss of Leeds United. How much more literally can one take one's ball and go home? Call it a "League of Democracies" for the sporting world: Since the late 1990s, the United States, under both Democratic and Republican administrations, has sought to counter the growing diplomatic prowess of China and Russia through a self-selected democratic club, with parliamentarians and B-list diplomats meeting in places like Warsaw, Seoul, and Chile to tout their democratic credentials. But the idea finally met its appropriate final resting place in 2008 -- alongside the John McCain presidential campaign that championed it. International sports, like international diplomacy, is supposed to be about inclusion, dialogue, and participation. "We go to new lands," declared FIFA President Sepp Blatter. FIFA may use such sentiments as little more than glib marketing catchphrases, but that doesn't mean they don't have merit -- and that the organization shouldn't be pushed to put its money where its mouth is. Exclusive clubs such as the U.N. Security Council's five permanent members, with their veto powers and built-in hypocritical policies, are vestiges of the 20th century. Soccer's popularity, like the world population, is growing fastest outside the West -- and that is where the World Cup belongs. 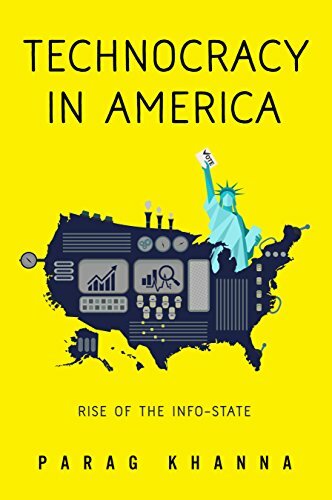 Parag Khanna is a senior research fellow at the New America Foundation and author of How to Run the World: Charting a Course to the Next Renaissance. 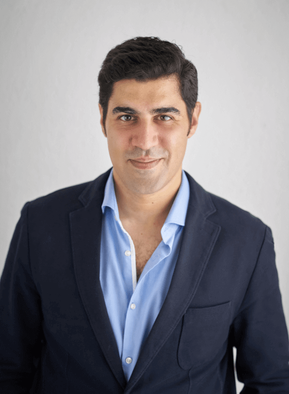 Karim Makdisi teaches international politics and serves as associate director of the Issam Fares Institute for Public Policy and International Affairs at the American University of Beirut.